Who thought one of this year's biggest and earliest box office surprises would ring out the end of 2016 on such a down note? Just a few weeks ago, director Tim Miller bailed on the movie citing creative differences with his leading man Ryan Reynolds. Now another key piece of the sequel puzzle has dropped out. Junkie XL will not be back to score the soundtrack for Deadpool 2. Here's what he had to say in his Facebook post. "Dear friends, it is with a heavy heart that I have decided not to score the upcoming Deadpool Movie. I love this character and creating his and the movie's original score was a monumental chapter in my life, personally and professionally." 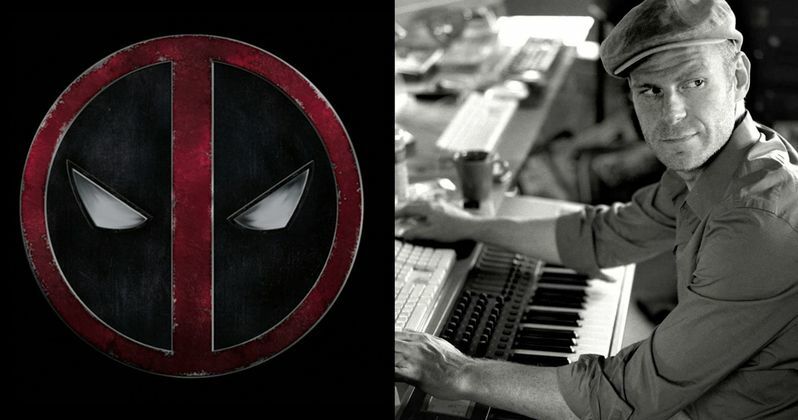 Though Junkie XL created the original music for the first Deadpool, it sounds like Tim Miller's departure can be blamed for the musician stepping down on the sequel. It comes as a heavy blow to fans. Further on in his statement, Junkie XL explains why and how he reached the decision to bail on this upcoming movie. "Since it was revealed that Deadpool's brilliant creative director Tim Miller will not be involved in the project anymore, I have undertaken some soul searching. Tim was the driving force behind Deadpool and me getting involved in this amazing project. Deadpool without Tim at the helm just does not sit right with me and that is why I have decided not to be involved in the second chapter." While a lot of fans were on Ryan Reynolds side in the whole Deadpool 2 divorce, this may sway some to think otherwise. Junkie XL, who helped score the soundtrack for Batman V Superman and worked on the original score for Mad Max Fury Road, has become a genre favorite with a loyal fanbase. This is sure to shake things up, and it's starting to make Ryan Reynolds look like the bad guy. Junkie XL ends his announcement to leave with this. "It was a difficult decision, as I love the project so much and I know how eagerly the next installment will be anticipated, it's hard to walk away from something so unique, but it also has to feel right. Hope everyone understands. Onward and upward. Love, Tom. The creative differences behind Deadpool 2 and the departure of Tim Miller are said to have sprung from Ryan Reynolds' contract negotiations. He got a huge raise, which came with more creative control. Miller and Reynolds didn't see eye to eye on the tone of the sequel. It is reported that Ryan Reynolds wanted another low budget affair that focused on the raunchy humor of the first, while Miller wanted a flashier movie that would have tripled the budget of the original. The pair are also said to have been in disagreement over the casting of Cable. Miller wanted Bloodline star Kyle Chandler, but Ryan Reynolds is rumored to have said, 'No way!' And he ultimately has end say in who gets cast. More on this story is sure to break soon.